A small portable device that can be used to split individual pills. 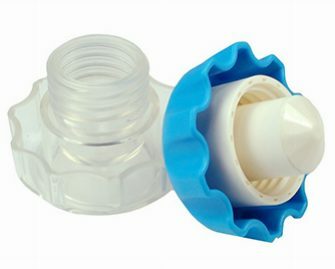 Put the medication in the holder and lower the lid to split the pill in half. Great for people that have arthritis or take numerous meds. A tool that can be used to crush medications. 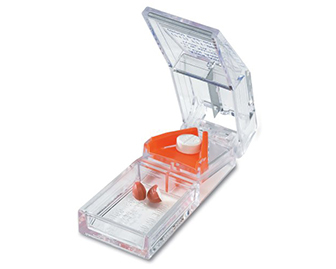 Open the device to insert the medication into the holder. Then twist the top half until there pill is sufficiently crushed. Great for people with arthritis or those on numerous medications that need crushing. 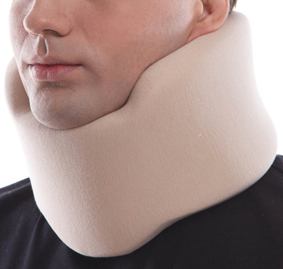 A neck collar meant to restrict one’s ability to turn and rotate their head. Commonly prescribed by doctors following certain types of surgeries, but can also be used by those with weak neck muscles that have difficulty keeping their head up. 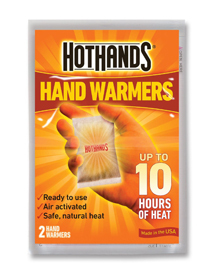 A warming pack that can be placed within someone’s gloves or applied onto hands directly. 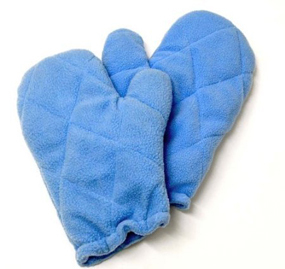 Commonly used on cold winter days to keep one’s hands toasty warm or left in cars in case of an emergency. Activates upon exposure to air. A glove made of buckwheat that can be microwaved until warm. Typically used by arthritis sufferers and those with hand pain to help alleviate discomfort and stiffness through warmth. 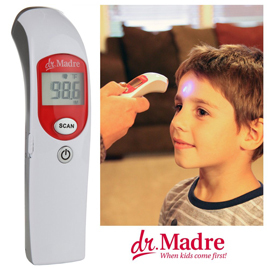 A theormometer that states one’s temperature outloud for those with vision difficulties. Great for people that have trouble with their eye sight but wish to continue to manage their own care and/or check for fevers.